County fairs have been bringing friends together to celebrate the end of summer and to start new dreams of the future for over a century now. Just mentioning a county fair can bring to mind images of livestock, crafts, sticky cotton candy, balloons, clowns, laughter of young and old alike, while in the distance the sounds of the midway calls. 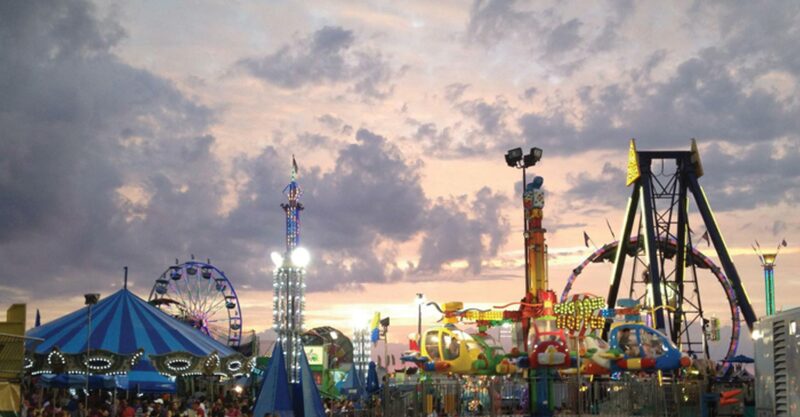 Each year, we partner with Power’s Great American Midways to bring you the most exciting rides, fun games, and delicious fair food!